For more than three decades, people have turned to James L. Finegan, P.C., for help after a DUI, traffic ticket, criminal arrest or serious personal injury or wrongful death. The law office assists clients in Lakewood, the metro Denver area and throughout Colorado in defending DUI, traffic or criminal charges or in recovering compensation for medical bills, lost wages, funeral costs and current and future pain and suffering. 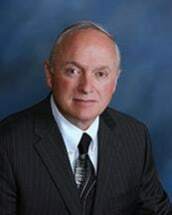 With more than 35 years of state and federal court experience, Mr. Finegan is highly skilled in advocating for defendants in traffic and criminal cases and victims and their families in injury cases. The attorney was a catalyst in the landmark case of Schlitters v. State, which resulted in private citizens being able to sue the government for dangerous conditions on a Colorado highway. He is deeply committed to helping fellow Coloradans and is prepared to take cases all the way to the Supreme Court if necessary. In addition to representing people charged with crimes including DUIs and general personal injuries, the law office offers comprehensive assistance for car, truck, motorcycle and bicycle accidents. Past clients have come to him with broken bones, burns, spinal cord injuries and brain trauma. After ensuring people get the proper medical treatment they need, the attorney pursues the maximum possible compensation for damages. James L. Finegan, P.C., offers a free initial consultation to all prospective clients. The law office takes check, cash, credit and debit cards as an accepted form of payment and offers contingent fees on personal injury cases. They answer calls 24 hours a day. We answer calls 24 hours a day.